Don't buy ExpressVPN if you want to connect more than 3 devices at the same time. That is our biggest complaint when it comes to this otherwise excellent VPN. If you want to connect up to 6 devices simultaneously then check out NordVPN, otherwise keep on reading. They scored high points in our review in every other category, from security, server locations, speeds, and accessing geo-blocked content. This premium service does comes with a hefty price tag, but you can save 57% and get an additional three free months with this coupon. After testing it for a few months we were really impressed with the super-fast speed and exceptionally secure apps, making the price well worth it. From a security standpoint, ExpressVPN is located in the British Virgin Island, a security conscious country not connected with the 5/9/14 Eyes Alliance. They offer multiple security protocols including OpenVPN, have a strict no logs policy, DNS and IP leak protection, and a Network Lock (kill switch). Some of the premium features of this service include; bypassing the Great Firewall of China, bypassing geo-blocked content for nearly every streaming outlet including Netflix, Hulu, BBC iPlayer, ESPN, and TV channel websites. Not only do they provide nearly flawless encryption, but their connections just can’t be beaten by the competition. It’s important to note that they do keep minimal aggregated connection logs, but not of your activity. For most people, this isn’t going to be a threat in any way because the company is professionally run and has never been found to hand over any logs to any government agencies. If you still aren’t sure this is the right VPN provider for you, have a closer look at our in-depth, comprehensive review. We’ll show you what makes them different. Our users&apos; trust is our #1 priority! VPN companies cannot pay to change or delete reviews. Everyone wants to know how fast ExpressVPN is – so we went to work to answer this question. To get a good representation of the speeds, we used servers from around the world. The app uses a built-in speed tester to show you which servers have the fastest download times. While it offers download speeds and latency for each location, it does take some time to finish. In addition, we found that the result could vary widely from one test to the next. 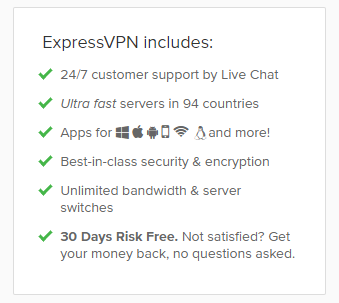 ExpressVPN was one of the fastest we’ve ever tested which is why they can charge a premium price. After running through several tests during the day, the most accurate results indicated that the speeds weren’t much different than our normal ISP speeds. Naturally, when we connected to local servers, the speeds were better. With that said, even when we connected overseas, we didn’t lose that much in the way of download speed. In fact, no matter where we tried it from, streaming from Netflix and Hulu was never an issue. If you end up on a server that is slow, you might want to reconnect to another server. Sometimes a server might become overburdened, but a simple switch to another server easily remedied that issue. Speed determines how fast content uploads, so if you're torrenting or streaming, you want the speed to be somewhat identical to your regular internet speed. Since a VPN encrypts your data, it usually takes a bit longer to send your data back and forth, which can slow down your connection. However, if your ISP deliberately slows down your connection (also known as throttling) a VPN might increase your internet speed. Testing a VPN is somewhat pointless because new servers pop up and affect speed. Your speed can also differ according to your location, so your speed test might not match ours. Having said that, we tested the speed in numerous locations to provide you with the average. ExpressVPN offers over 1,500 servers located in 94 countries. While this isn’t the most extensive selection of servers around, the service they provide with what they have is exceptional. You don’t need access to 4,000 servers in order to get exactly what you want. Because ExpressVPN is incorporated in the British Virgin Islands, it’s beyond legal jurisdiction of many agencies like the GCHQ and NSA. Their OpenVPN traffic is encrypted with 256-bit AES algorithm and is their default protocol. They also excel at setting the bar high with authentication. The 4,096-bit ephemeral encryption they provide protects exchanges with maximum secrecy. If you are on the mobile app, there’s no way to alter the default encryption, but you have plenty of options on the computer. They also don’t monitor your activity or keep logs on what you’re doing, so you can use the service however you wish. From your local computer, you have access to the connection logs, and you can save them to your local files. This is only used for diagnostic purposes. The company doesn’t track times that you’ve connected, what server you’re using, or the data transferred. It also doesn’t log your IP address. All users receive a static IP address that’s shared, since many people will be on the same IP address, it adds another layer to anonymity. ExpressVPN does use virtual locations for some of their servers. On their website, they list all the virtual locations for user knowledge. Even though virtual locations have some drawbacks, they aren’t used in the larger countries. In fact, less than 3% of their servers are virtual, one of which is in Turkey since their servers were seized. We’ve already discussed how well ExpressVPN works with Netflix, Hulu, and other streaming devices, but what about P2P services? Thankfully, it works seamlessly with uTorrent for a great downloading experience. The ratio of servers to countries is an important factor to look at when choosing a VPN. Only paying attention to location or number of servers can get you in trouble More servers generally means faster speeds, but if VPN X has a few more servers than VPN Y but twice as many users, VPN X will typically have slower speedsIdeally, you want a VPN that has a lot of servers in every location. This way you won’t have to worry that server/country that you want will be overburdened and running slow. The purchase of ExpressVPN was simple and took only a few seconds. The download was straightforward; just a few clicks and they provide you with a code to enter on your devices. Once that’s done, you’re ready to go. We had one of our researchers review the user experience in detail, as you can see in the video. We were able to stream our favorite shows on Netflix and Hulu without any issue. There was never any buffering, and we even did a little binge-watching! We tested out our IP address in numerous countries without a problem and found the interface easy enough for a beginner to use. If you are worried about getting around China’s firewall, there is a solution to that. First, you must download ExpressVPN prior to your arrival. It can be installed on an Android device or laptop, but not the iPhone. With this connection, you can still visit your favorite sites and protect your information from authorities. Don’t forget that ExpressVPN also changes your IP address, so nothing is traceable back to you. We had to test out the support to see if all the hype about this company was indeed real. For the price being asked, we figured the support better be above and beyond anything we’ve ever experienced. Here’s what we found. ExpressVPN offers 24/7 live chat support and we wanted to put them to the test and see how quickly they answer our questions. At first, the support seemed helpful and knowledgeable about our questions, until we asked something a little more complicated. That’s when they responded with pricing information which seemed a little strange. We still couldn’t wholeheartedly conclude that we were talking with humans, but overall, we got the help we were looking for. If you would prefer not to discuss your matters with a human or machine over chat, there are some other options available. They have a contact form and email address provided as well. Unfortunately, you won’t get to talk with a human, because there is no support phone number provided. The company does offer a 30-day money back guarantee for the service. This is helpful if you plan to go out of the country but still need access to your favorite websites for a short period or if you find that their service just isn’t for you. 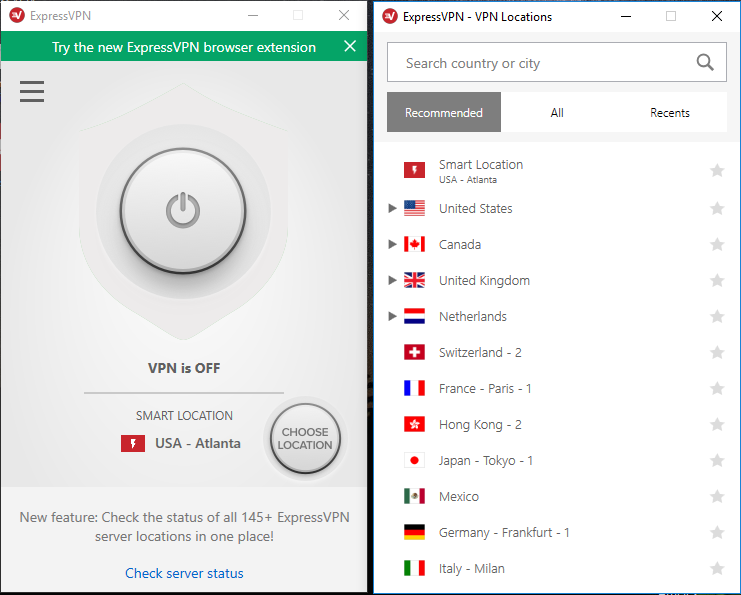 As stated earlier, ExpressVPN is one of the more expensive options on the market, but hopefully, you’ll see, as we did, that it’s worth it. Currently, they offer three basic payment plans. The yearly plan will get you the most value for the cost. Regardless of which plan you choose you can still take advantage of the 30-day money-back guarantee. There are numerous payment options which makes it easy to customize your experience. 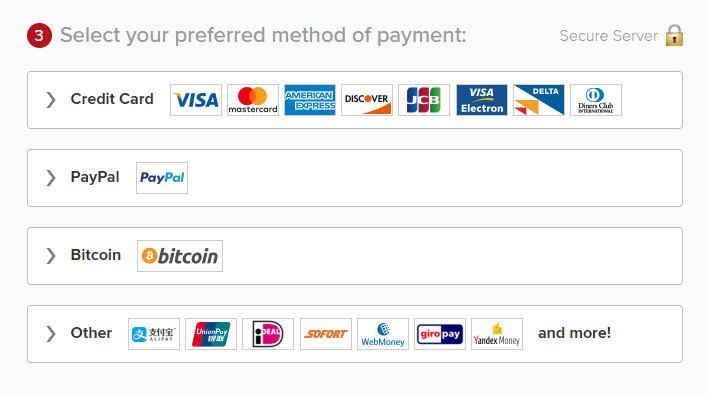 You can pay with credit card, Paypal, Bitcoin, and various other methods that you might prefer. While the price is on the more expensive side you receive fast speeds, privacy that gives you peace of mind, and exceptional customer service. A trifecta that is hard to beat. Luckily for you we have reviews of the top active VPNs.